In a prior post, I asked “Can A Simple Blood Test Reveal Traumatic Brain Injury?” At the time, the research looked promising. After writing that prior post, we continued to follow developments. Now, the Food & Drug Administration (FDA) has approved a blood test for this purpose. 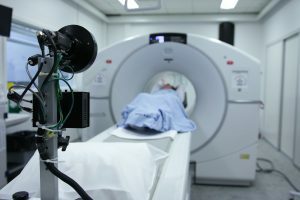 Why is a blood test for traumatic brain injury (TBI) significant? In a short answer — Many TBI victims suffer without a diagnosis, without treatment and without understanding. Following a traumatic incident, emergency rooms frequently fail to diagnose TBI cases. Think about it. After a serious accident, you rush to the hospital. Suddenly, you are in a crowded emergency room. It can be a chaotic scene. While emergency rooms are designed to handle “emergencies” like yours, they are also overflowing with patients who lack the resources or finances to seek basic care elsewhere. Emergency room physicians and nurses work hard. They have hard jobs. They work to treat all patients. But, life and death issues take priority. They must. With so many patients and so many problems, many significant TBI cases go undiagnosed and untreated. After all, many TBI patients look normal. the reality is that there currently is not a comprehensive or even standardized approach in the ED [Emergency Department] for patients who suffer a TBI. That’s the truth. Emergency rooms often lack detailed protocols for potential TBI cases. If a patient presents to the ER with severe head complaints or problems, the standard response is to order a battery of radiological scans. MRIs. CTs. Yet, those tests cannot detect most cases of mild TBI. As a result, the patients suffering such injuries are often simply released without a proper diagnosis or proper recommendation. In my cases, TBI treatment is almost always an issue. With the typical failure of a diagnosis in the ER, the insurance companies deny or ignore the problem. Diagnosis and treatment are common problems in TBIs from car accidents and work-related accidents. Emergency rooms need a better approach to patients reporting a head injury. In prior blog posts, I’ve advocated for better approaches in the initial moments after a trauma. I think emergency rooms should be proactive with the history obtained from the patient, with the interactions between patient and medical staff, and with new testing to better identify these injuries. That’s why I found research into a potential blood test for TBIs to be a promising development. The concept originally was that we would have something that medical personnel in the field would be able to use to assess whether somebody who had received a head injury needed a higher level of care. On the battlefield, medical personnel need to quickly assess an injury. Many of our soldiers have suffered a TBI in the field. With such a test, they can be assessed and treated. How does the test work? The test measures levels of certain proteins (known as UCH-L1 and GFAP) that the brain releases into the blood following a head injury. According to the research, the levels of these proteins can help predict patients who may have intracranial lesions. This includes lesions visible on a CT as well as those not visible. Remember, CT scans do not show head injuries in many, many patients suffering a TBI. The FDA approval statement indicates the test accurately predicts the presence of lesions over 95% of the time. Clearly, this test has huge implications for battlefield medicine in the military. In our practice, we often see clients who suffered a TBI in an automobile accident, large truck accident or in an accident on an industrial site. The frequently missed diagnosis in the ER creates huge proof problems later. It also creates huge problems for the patient and his/her family in understanding the scope of the injury. If this proves useful in the ER, we are excited about the possibility patients will receive the care needed to improve their lives. Outside of our practice, a TBI blood test also raises the question — Will it be useful for athletes as a test to determine whether they can return to a game? The medical possibilities of such a test are significant. We will continue to follow this research. At the Blackwell Law Firm, we specialize in helping clients with Alabama personal injury claims. We closely follow legal and medical issues helpful to our clients. If you have questions about the topic of this post, traumatic brain injuries, we encourage you to read our other articles. We are also available to answer questions. Consultations are always free and confidential.